Need to know how much? 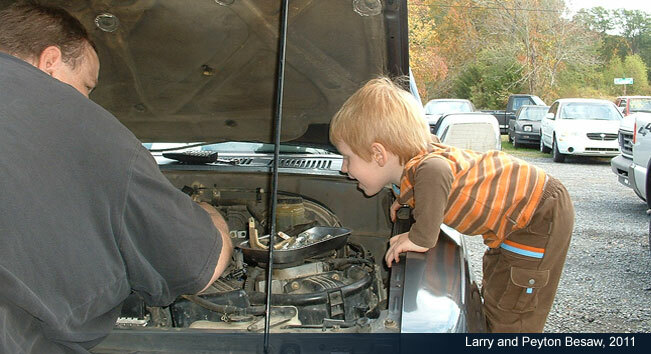 We are a family owned and operated full-service repair facility. As a "Certified Auto Repair" facility we provide a 12month 12,000 mile NATIONWIDE warranty on most repairs. We service and maintain foreign and domestic cars and light trucks up to 1 ton. No job is too big or too small. Owned and operated by Larry and Stephanie Besaw and established in 2007, we were recently awarded the "Best of the Best" in Central Arkansas by the Arkansas Democrat-Gazette reader in the automotive repair division. We provide FREE ESTIMATES in most cases and if the repair does not fix your problem you do not owe us a dime. © Copyright Besaw's Automotive. All Rights Reserved.